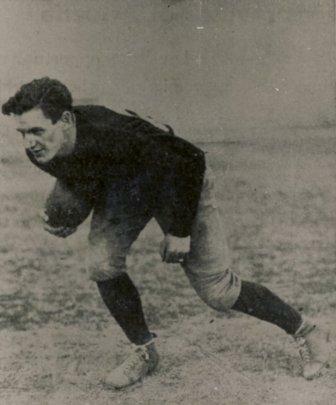 Edwin (Eddie) “Dynamite” James was one of the great veterans of football in Western Canada. He was an outstanding flying wing who played sandlot and junior football before moving up to the senior game with Winnipeg and Regina. James was truly a 60-minute man, equally comfortable on both offence and defence. Known for his dependability, he was regarded as one of the hard rocks of the game in the era before records and statistics. Eddie “Dynamite” James possessed a great plunging and scoring ability which made him a devastating force. Above all, he was known as a man who easily made friends among teammates, opponents, football executives and fans alike.